This is one science fair you’ll never forget! When Mr. Farnsworth, the science-fair judge, declares that he loves zucchinis, the Killer Zucchini is smitten. As the judge makes his way through the exhibits alphabetically—A (antimatter), B (bionic limb), C (cloning)—the Killer Zucchini tries to show his affection. 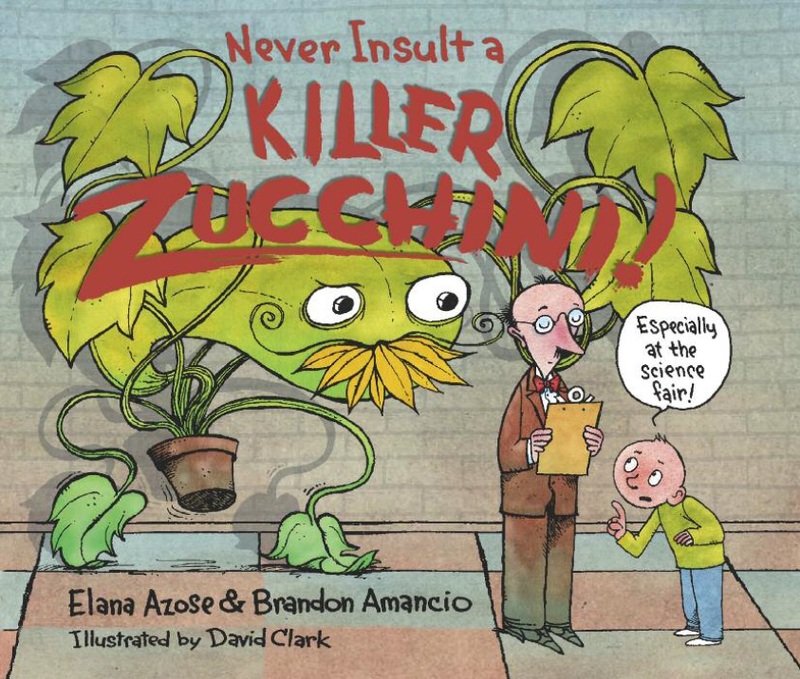 But when Mr. F gets to letter K and admits he likes to eat zucchini, the Killer Zucchini gets steamed and attempts to exact his revenge on the snack-loving judge. Available at a bookstore near you, or on the interwebs.